Aisha Yesufu has slammed Governor Nasir El-Rufai over his 'body bag' threat against foreigner. El-Rufai's comment went viral after the Governor threatened foreign election observers with death ahead of the February 16, 2019 general elections. But Governor El-Rufai, in another video shared by Aisha Yesufu, attempted to justify his earlier 'body bag' threat. "Can someone please tell Nasir El Rufai @elrufai to shut up! Just FREAKING shut up! You made a mistake. Apologise and move on! Stop digging yourself further in. Intelligence that can't find Boko Haram?" " El Rufai with his inflammatory and threatening statements. What the hell has gotten into him? Power?! What an absolute shame. After office, what?! Nearly all men can stand adversity, but if you want to test a man's character, give him power"
"So tomorrow, some will wake up and begin to kill foreigners they see and El Rufai would say that's not what he meant? What kind of disdainful human being is this? Why sow seeds of hatred amongst those who cannot discern falsehoods"
"Election is not to send the country into chaos. Election is about your persuasive power not your power to maim and kill. Election is about the work you have done as incumbent and the the vision you sell as opposition"
"El-Rufai you have Intelligence that give you report and yet people cannot travel freely on Abuja Kaduna expressway. This immunity has gotten badly to some people"
"Nasir El Rufai @elrufai is carried away with being the kid in the block. He has forgotten before him there was Ramalan Yero and after him there would be another"
"The other time El Rufai mocked the late President Yar'adua and former President Goodluck Ebele Jonathan. It seems he is yet to recover from the bullying he received as a child. He has not yet finished pouring sand into Sunday's food." 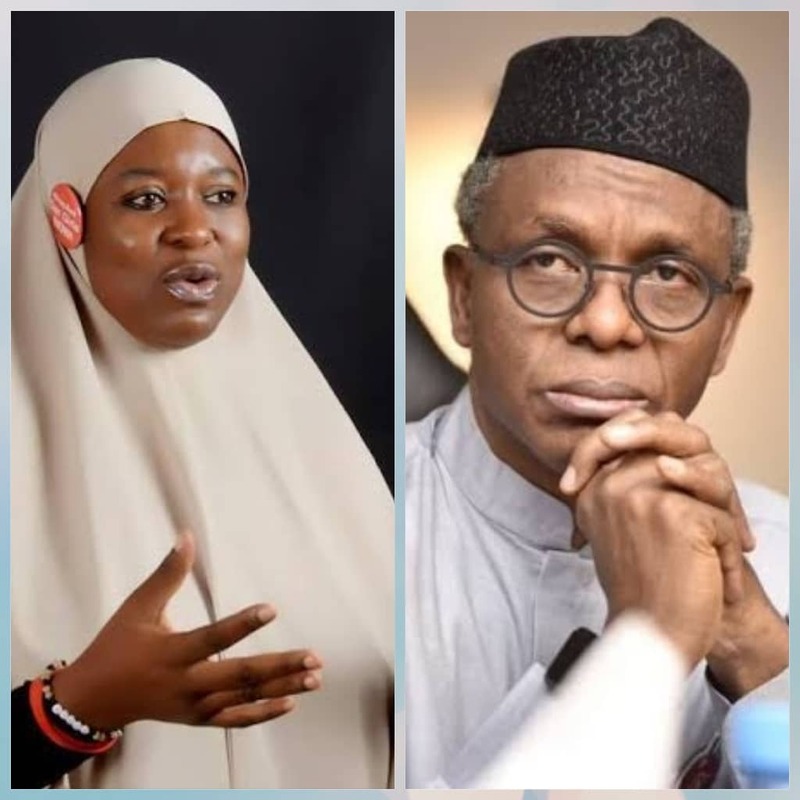 Watch the new video shared by Aisha HERE that made her tell El-Rufai to shut up.